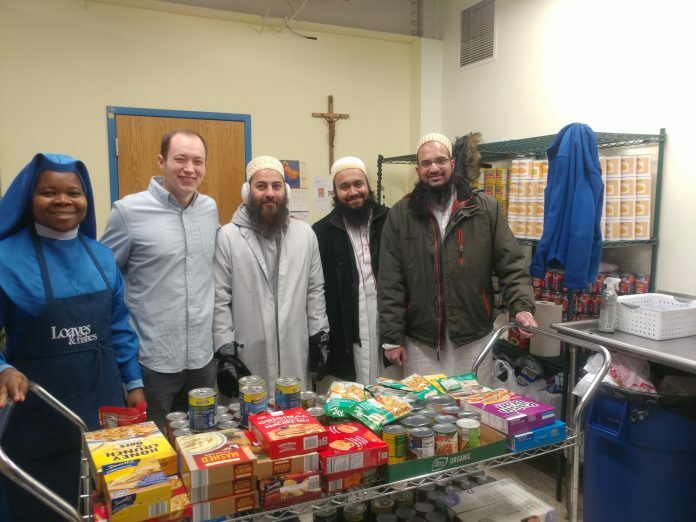 The Bohra community in Minneapolis provided food and essential items to Mary’s Place homeless shelter in an effort to assist them in caring for the homeless. The polar vortex with temperatures of -45F, windchill and intense snowfall had put additional burden on Mary’s Place which prompted the community to lend a hand. They contributed non perishable food items, snacks, hygiene products and other required essentials. The City of Minneapolis has an estimated 3000 homeless people on any given day whose plight worsens during the winter months. Due to snow and temperatures below freezing, these people seek the help and support of homeless shelters. Mary’s Place in downtown Minneapolis is one of the homeless shelters which welcomes these people in need and provides them with a safe place to stay, decent food to eat, warm clothing and explores opportunities to alleviate their poverty.